Casey Andringa, left, and Emmerson Smith celebrate Tuesday after receiving their 2018 Team USA Olympic uniforms. EAGLE COUNTY — Through the performance of their athletes this season, the U.S. Freestyle Ski Team earned the option to take eight moguls skiers to the 2018 Olympics. Four of those eight skiers are from Ski & Snowboard Club Vail. Morgan Schild, of Pittsford, New York; Tess Johnson, of Edwards; Emerson Smith, of Breckenridge, and Casey Andringa, of Boulder, all joined the Ski & Snowboard Club Vail program with hopes of making it to the Olympics one day. The chances of them all making it to the 2018 games, however, were very slim. Speaking from Park City, Utah, on Tuesday, Jan. 23, after receiving his official team uniform, Andringa said the common link was in the coaching. Andringa joined Ski & Snowboard Club Vail two years after Dowling had signed on as freestyle program director. Dowling brought with him to Vail a bevy of talent, including coach Riley Campbell. Campbell had been one of Dowling’s athletes, and Dowling recognized the potential in him to be a great coach. This season, Campbell has been Dowling’s man on the ground, traveling to competitions and helping the athletes. “But Dowling was still watching and advising from afar,” Campbell said. 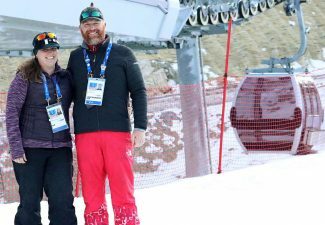 Certain tips, here and there, from both Dowling and Campbell throughout the season, proved to be invaluable for all of Ski & Snowboard Club Vail’s athletes. Johnson lowered her times, made the superfinal in the last Olympic qualifier of the season to earn her spot on the team. 2017 National Champion Morgan Schild was among the top competitors on the World Cup circuit last season, notching a win and another podium. Her berth on the 2018 team seemed like a foregone conclusion, until the qualifiers actually started. She made the top 16 at the first event and then crashed. She didn’t find any better results at the second of five qualifiers. 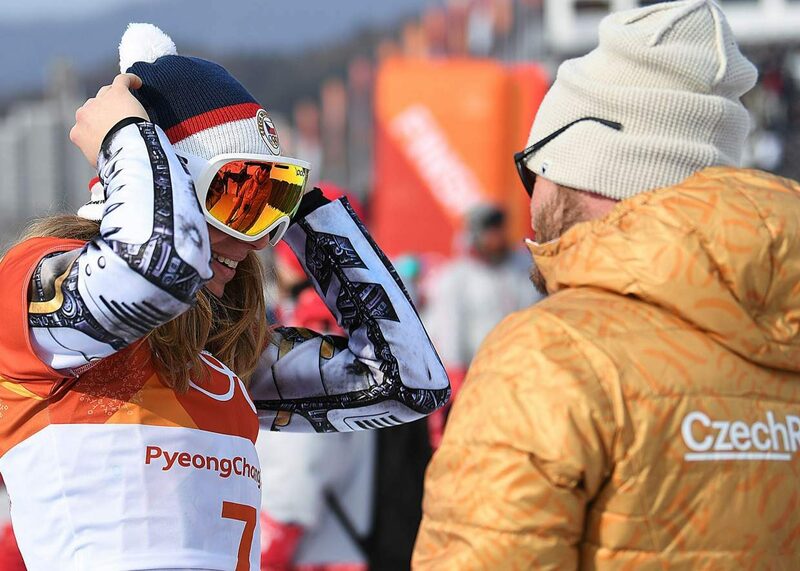 Schild notched a pair of podiums in Deer Valley and made the minimum objective criteria for the Olympic team. 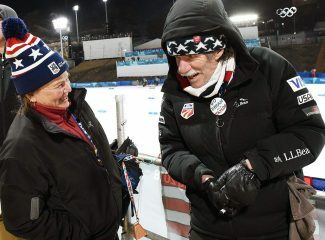 “She sealed the deal in Deer Valley,” Campbell said. Emerson Smith was the only mogul skier on the U.S. men’s team to start off the season skiing well. At the first event, a tough competition in Ruka, Finland, more than 50 skiers took to the course before him. Ordinarily, this would not have been ideal. “But in this case it was almost a blessing because he was able to see what was going on,” Campbell said. 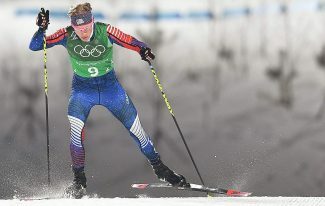 Before Smith had a chance to touch the course, all of the other U.S. men and a large number of top skiers from other countries had crashed. “I grabbed him by the jacket and said ‘don’t miss this opportunity,’” Campbell said. Smith made it to the top-16 finals and was the best-finishing American on the day. 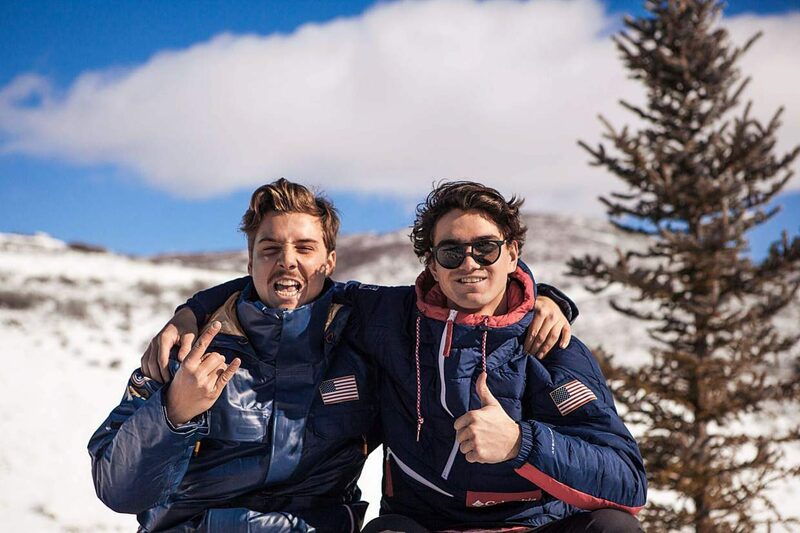 The U.S. Freestyle Ski Team encompasses several disciplines — halfpipe, slopestyle, aerials, moguls and ski cross — and if American mogul skiers weren’t making regular appearances in finals at World Cups, then they risk losing one of their potential Olympic spots to another discipline. When the fifth Olympic qualifier had concluded, Smith was the fourth-best American in the points standing. The odds started to stack up against Andringa last season, when he wasn’t named to the U.S. Ski Team. Unfazed, Andringa came up with a plan. With the best two results being tabulated from the five Olympic qualifiers, Andringa knew he needed at least two World Cup starts to have a shot. His only shot and earning two World Cup starts was to win the two events he knew he was invited to — the U.S. Selections competitions in December. Andringa, with the help of his younger brother, started a total health program. Ski & Snowboard Club Vail coach Hans Gardner followed them out to the woods over the course of the summer, himself living in an Airstream, and watched Andringa’s every move on the water ramps in Steamboat. Andringa did win both U.S. Selections events and earned his two World Cup starts. And then he caught a break. Andringa went to Calgary with the intention of warming up for Deer Valley. The seventh and fifth place finishes were enough to guarantee him a spot on the Olympic team. 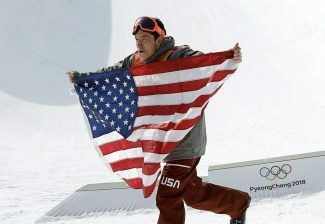 Now gearing up for Pyeongchang “I have yet to be as nervous as I was in the gate at U.S. Selections,” he said.